Marketing through email, social media and other electronic venues is highly effective in today’s business environment. However, the physical presence of a direct mail marketing piece in a potential customer’s mailbox still works to spark interest, generate leads and convince customers to buy on the spot. Here are some reasons why direct mail marketing can still be a valuable part of your overall marketing mix. Direct mail is targeted. A direct mail marketing piece can be aimed precisely at members of any targeted interest group or demographic. Whether you purchase segmented mailing lists or mine data from your own customer database, you can send a message directly to the individuals most likely to respond to it. Direct mail is tangible. A direct mail marketing message is a physical object that can be appreciated by the senses. The weight, texture and overall feel of the paper can activate the sense of touch. The sense of sight will be engaged by the design, color and any images or illustrations. Direct mail is flexible. Direct mail offers flexibility that electronic marketing can’t match. You can mail messages in multiple formats to highly-targeted market segments. You can place a physical object in potential customers’ hands to correspond with holidays or significant life events. You can include small gifts or objects that can create a sense of reciprocation in customers. Direct mail is personal. Direct mail can be personalized by adding a potential customer’s name to the copy. The copy and images can be personalized to refer to subjects that appeal to individual customers. When marketing messages include personalization factors, the retention of messages increases, as does the likelihood that the recipient will respond to the message and convert into a sale. Direct mail is measurable. By asking recipients to perform some unique action, such as send back a coupon or form or make a phone call to a specific number, you can quickly see what elements of your copy and overall mailing strategy work the best. 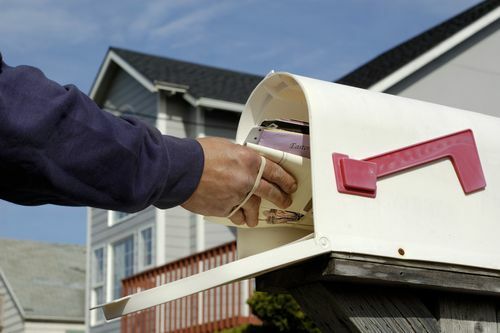 How could a direct mail marketing program be beneficial for your company? I also believe that direct mail marketing is a powerful technique of marketing the business. It helps to reach the clients directly and generate leads in a short time. Direct Mail is great for large corporations or small service driven business with the funds to run a printed and distributed campaign. I feel email is more cost effective and can be excellent if you manage to get to the inbox. Pingback: 6 Ways to Spice Up Your Direct Mail Marketing Campaign | Continuity Programs Inc.
Pingback: Direct Mail Marketing: 3 Keys to Getting it Opened | Continuity Programs Inc.